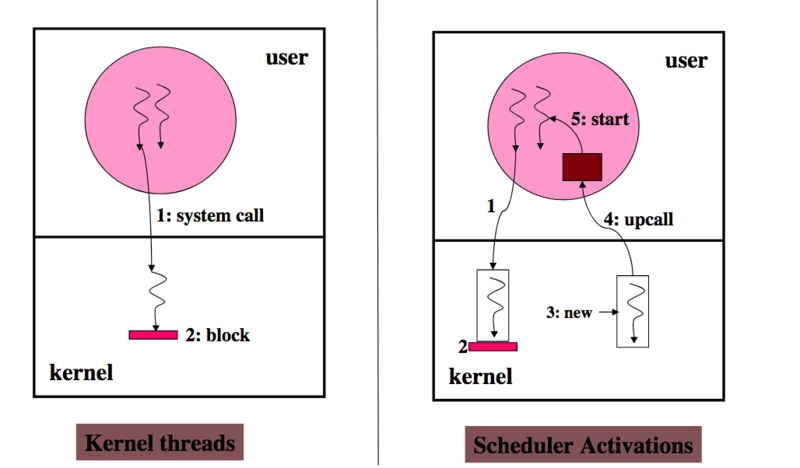 "Scheduler Activations: Effective Kernel Support for the User-Level Management of Parallelism"
How to design a parallelism mechanism (e.g., kernel interface + use-level thread package) that combines the functionality of kernel threads with the performance and flexibility of user-level threads? 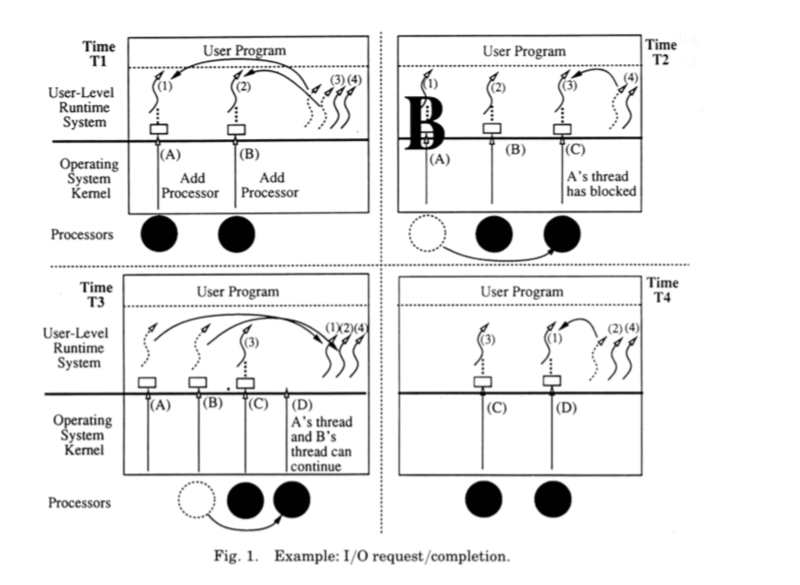 Question: Can we accomplish system integration by implementing user-level threads on top of kernel threads? 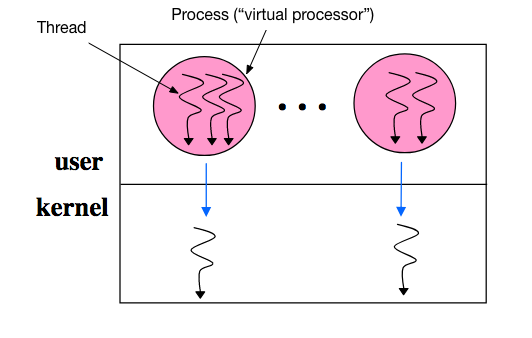 A general system design problem: communicating information and control across layer boundaries while preserving the inherent advantages of layering, abstraction, and virtualization. 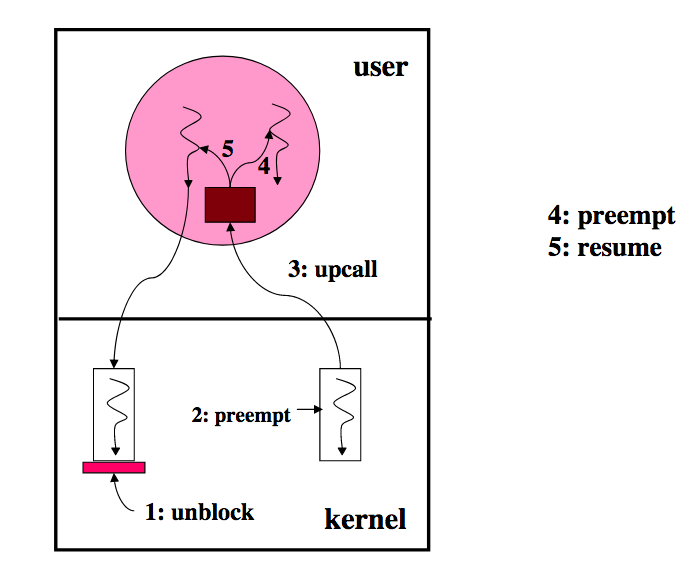 A scheduler activation is the execution context for vectoring control from the kernel to the address space on a kernel event. 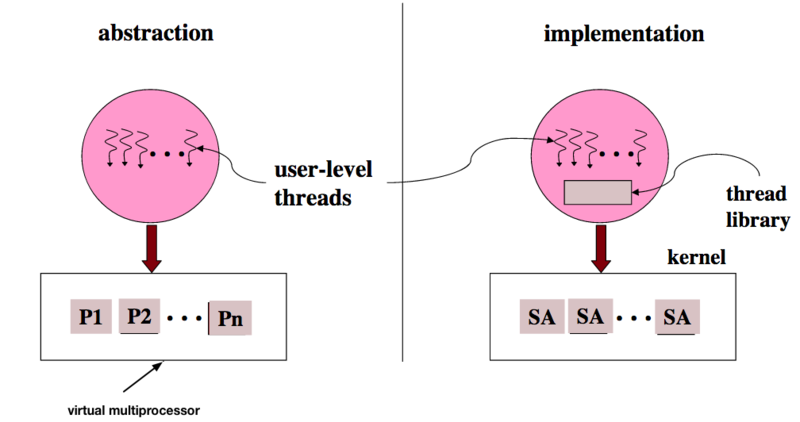 The address space thread scheduler uses this context to handle the event, e.g., to modify user-level thread data structures, to execute user-level threads, and to make requests of the kernel. 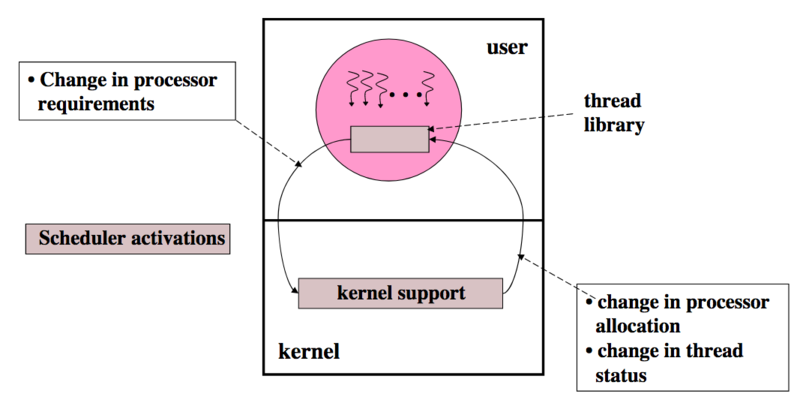 Processor allocation (the allocation of processors to address space) is done by the kernel. 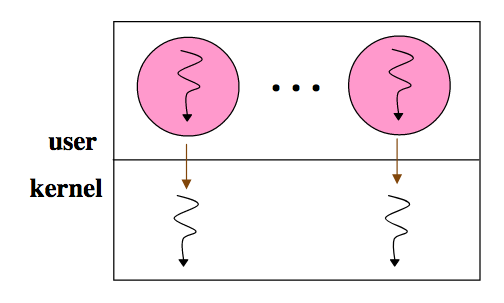 Thread scheduling (the assignment of an address space's threads to its processors) is done by each address space. The kernel notifies the address space thread scheduler of every event affecting the address space. The address space notifies the kernel of the subset of user-level events that can affect processor allocation decisions. If so, the thread is continued temporarily via a user-level context switch. 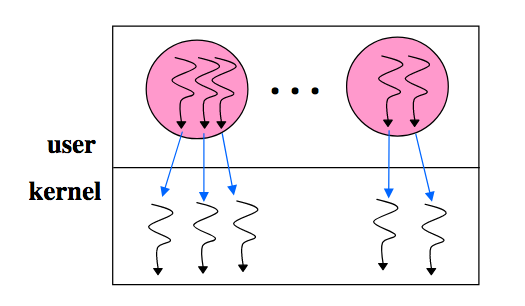 When the continued thread exits the critical section, it relinquishes control back to the original upcall, again via a user-level context switch.